Brave browser is the latest entrant in the market. This browser is changing the internet. It is fast, secure and cryptocurrency driven. 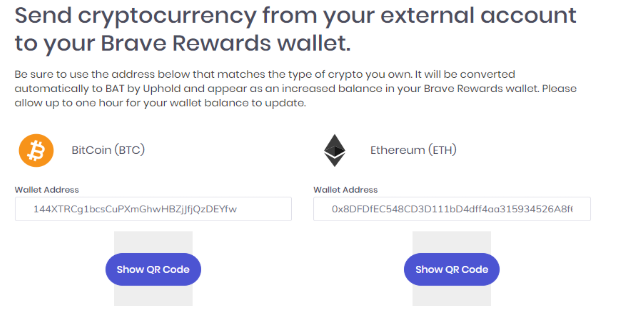 Brave has also introduced a new way of delivering digital ads. The browser blocks ads by default eliminating the need of third-party extensions. The browser strips out ads and trackers giving you an enjoyable Internet experience without any intrusion on your privacy. With the support of Chrome extensions, you get the best browsing experience. If you are still using other browsers, here is why you should make the switch to Brave now. All other browsers usually load any ad presented by an ad network by default. Even if you are using ad blocker extensions, some ads will still pop up. However, Brave blocks all these ads by default. This feature bars ad networks from tracking your browsing experience. The default ad blocker also protects your device against malware. Brave has replaced the potentially harmful ads with the ads from its network. Brave does not conduct any tracking because browsing information cant is not accessible to third parties. For users who opt to join the Brave ad network, no tracking occurs because browsing data is locally stored. For years, getting paid to browse the internet has been a dream. However, Brave has made this dream a reality. As a user, you can earn by just browsing the web using the Brave browser. You get paid in Basic Action Token. 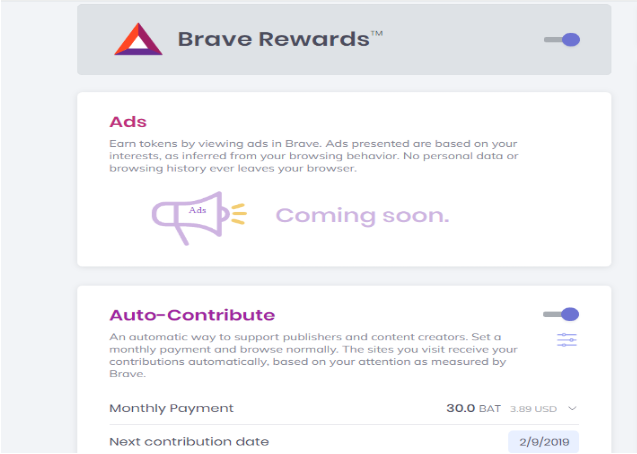 (BAT) for viewing ads from the Brave Ads network. Unlike Google Adsense program, Brave users mutually benefit from the network. The crypto is paid through the inbuilt BAT wallet. According to Brave CEO Brendan Eich, users can make up to $70 in 2019 if they opt to view ads through the browser. 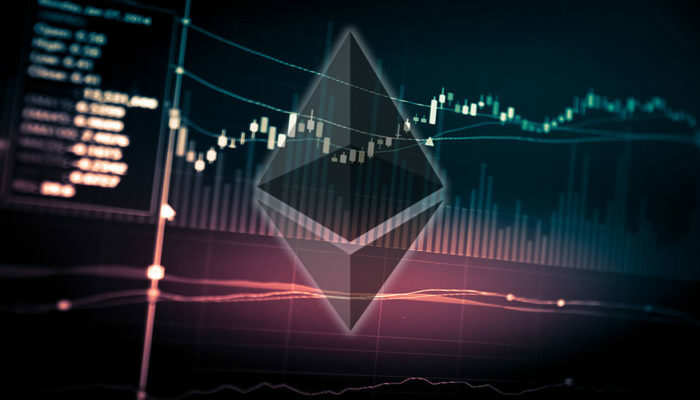 The BAT tokens are traded for cryptos like Bitcoin and Ethereum. If you want the cryptos converted into fiat, you can use the Uphold service. Content creators depend on ads to support their work. 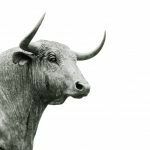 So, how does your favorite publisher make money with Brave’s ad blocking? Under Brave’s business model, we have the Brave Payment feature. It is a system that allows you to donate to content creators you wish to. As a user, you can load the BAT wallet and allocate a certain percentage to different websites, and the amount will be deducted on a monthly basis. 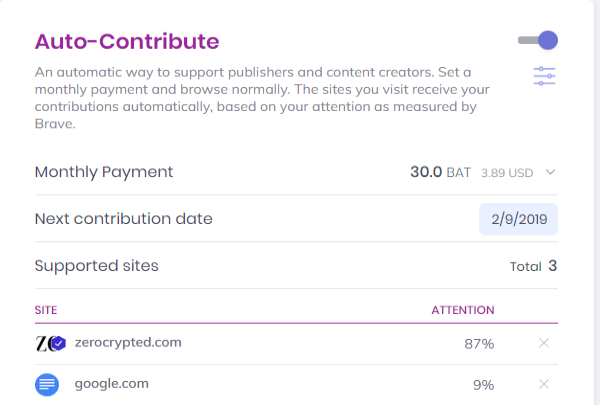 When users visit websites, Brave Payments automatically distributes donations based on the time they devote on that particular site. Brave allows users to pin or bookmark specific sites to receive a certain amount every month. During the transaction, Brave keeps all your browsing history private. Your contributions are sent to site owners through an anonymous ledger system. You can never be identified based on the sites you visit frequently and support. Adverts consume a big chunk of your mobile data. 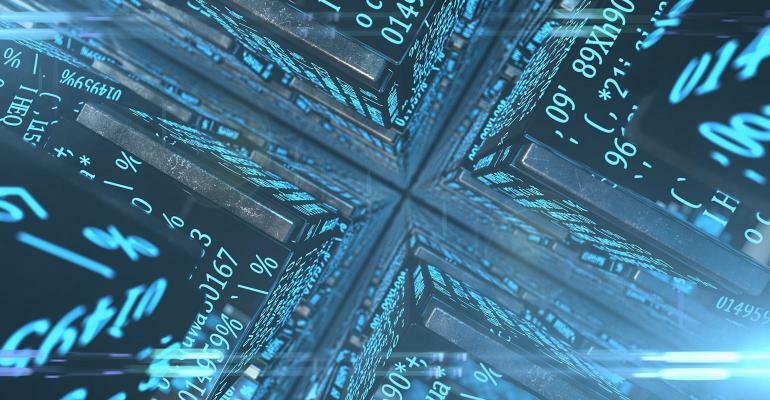 According to a report by Enders Analysis, 79% of your data plan goes to ads. According to Brave, you lose approximately $23 on data plans for unwanted ads, translating to about $276 a year. The brave browser gives you more data for money since all ads are blocked by default. You, therefore, have fewer top-ups, fewer extra data charges. In the end, you save money. As seen earlier, Brave enhances privacy by blocking potentially harmful and privacy-invasive adverts by default. However, this browser has some additional features to guarantee you a private browsing session. The inbuilt HTTPS Everywhere ensures that you use encryption whenever it is available. Brave has the browser fingerprinting protection. This feature is not by default but enabled in the setting tab. Browser fingerprinting bars websites from forging a unique fingerprint of your browser where you can be tracked across different online sessions. Additionally, Brave servers do not store your browsing data. All the data remains on your device, and you can choose to delete or keep it. Brave has also integrated the Tor network in its systems to give you an enhanced private browsing mode known as Private Windows with Tor. Brave is the only browser that is supporting cryptocurrencies without any notable restrictions. 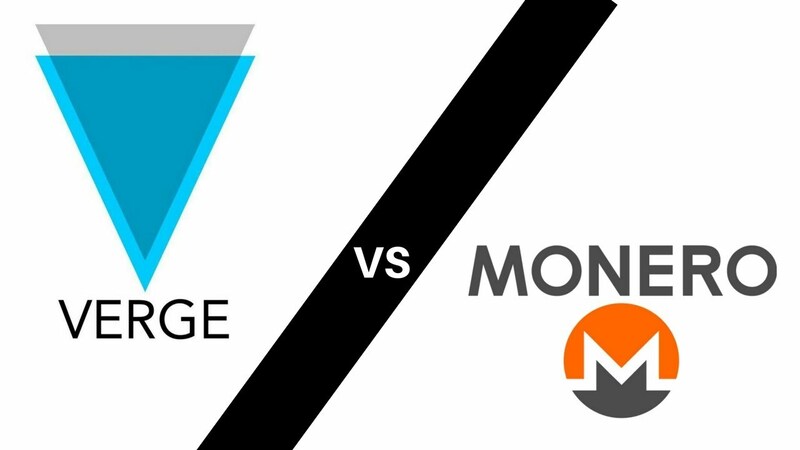 Common browser’s have remained cautious when it comes cryto integration. The browser has an inbuilt BAT wallet, where users who opt to view ads receive payments. Furthermore, users can load the wallet to support their favorite publishers. The wallet can be used trade digital currencies like bitcoin and Ethereum. Brave chose for BAT, to eliminate the role of intermediaries and to track from the inventory catalog of current ads. 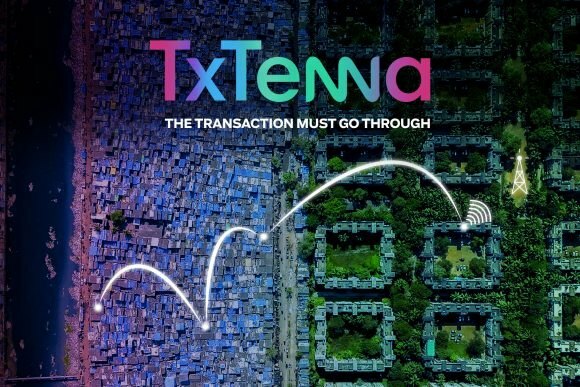 Cryptos are on the way for mass adoption, and the Brave model is contributing towards this goal. BAT’s partnership with Uphold ensures your easily convert fiat into your preferred cryptocurrencies. Brave has impressive speed scores when compared to popular browsers around. Brave is at least two times faster on both mobile and desktop. The browser’s privacy and security shields prevent your browser from accessing malicious content. 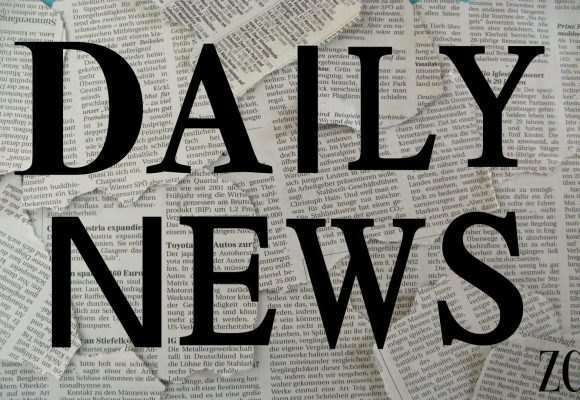 The default ad blocker means that you have fewer data to download before a webpage is accessed. You will typically save about five seconds per load time on each page you visit. Additionally, Brave’s rendering speeds are not far from common browsers like Chrome and Mozilla. You should make the switch to Brave because it puts the user first. It is a contrast to the traditional model of web browsing. As a user, you are sure of your online security and privacy due to the blocking of trackers. Your browsing data is in your hands, and no third party can access it. If you are looking for speed, safety and privacy, then make the switch right now.